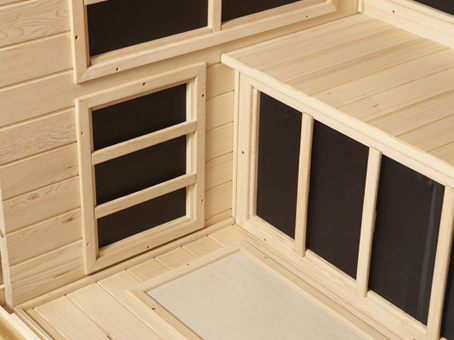 Like to sauna with the whole family? 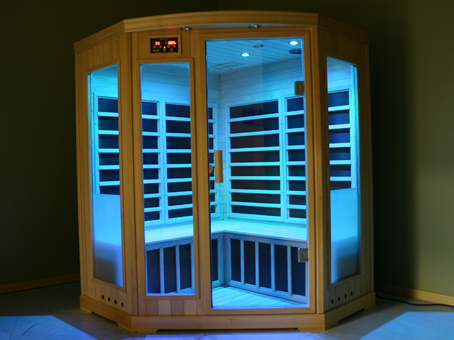 The S840 is ideal for 4 to sit across from each other relaxing and chatting. 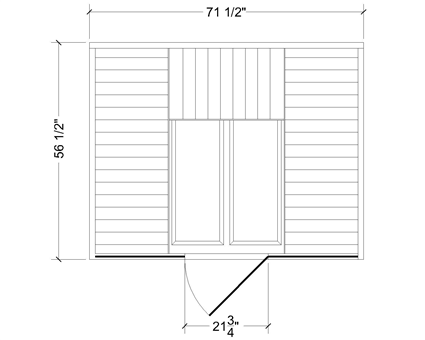 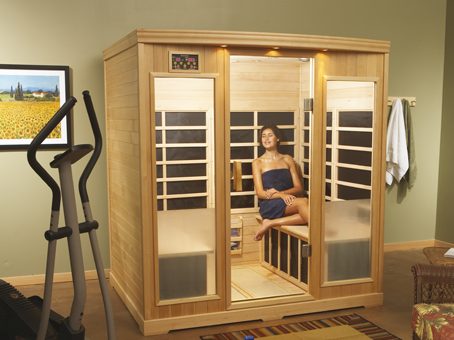 Perfect for a small condo project or workout room, this is the ultimate way to sauna with friends and family. 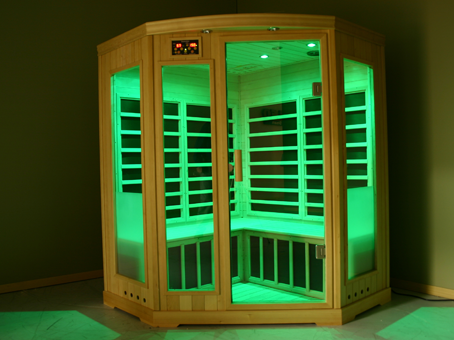 Or, think of it as the ultimate in luxury for you and your partner to lie across from each other as you sauna together. 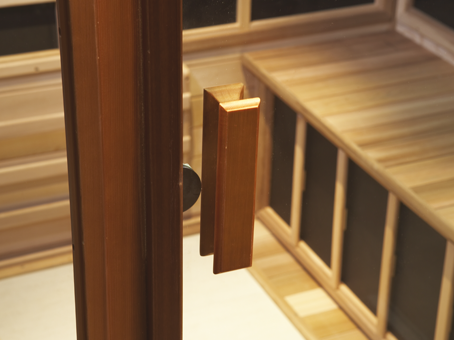 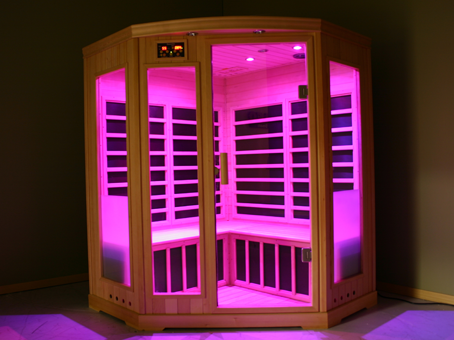 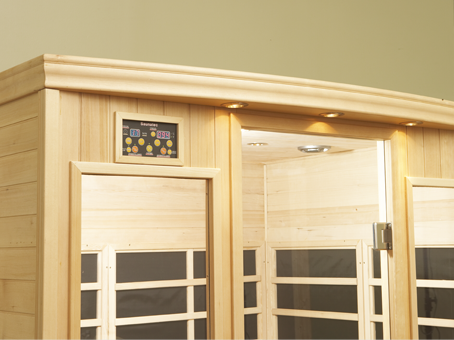 You’ll enjoy the soft heat knowing that you’re experiencing a safer infrared sauna experience. 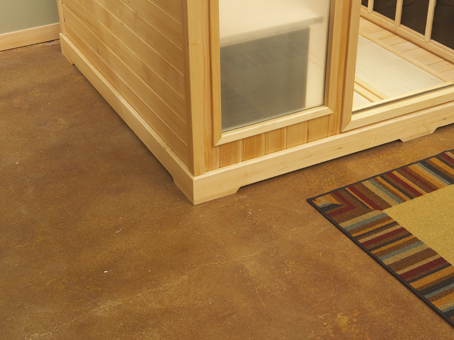 The pursuit of health at home has never been easier and more stylish. 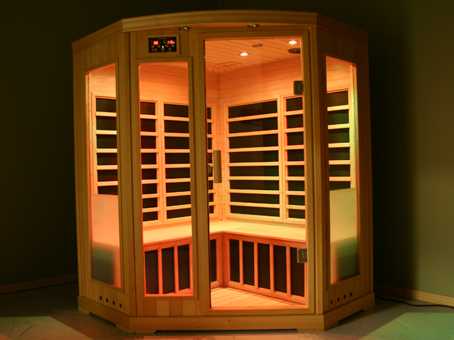 -Provides the softest, most enjoyable far-infrared heat available. 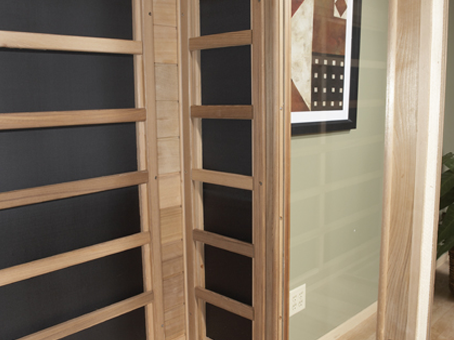 -The wall-to-wall heating system ensures a complete enveloping heat with no cold spots or hot spots. 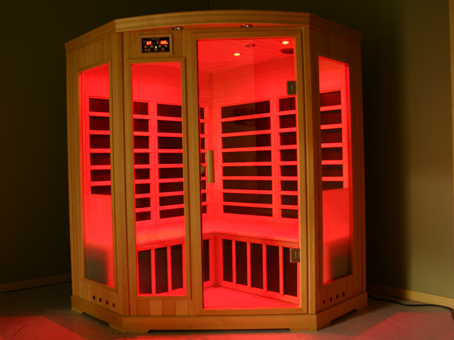 -More square inches of heater coverage than any IR sauna in the market. 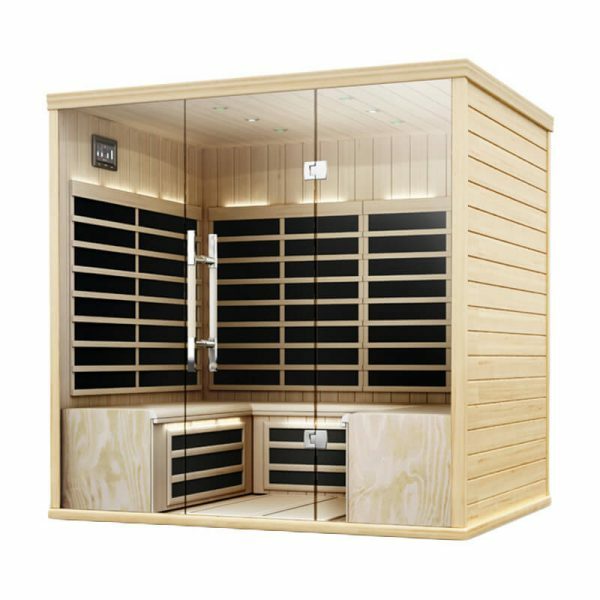 -With carbon technology and raw material imported from Japan, it operates at safer and more comfortable sauna temperatures. -Its radiant heat penetrates deeply and produces more sweat than competitor saunas. 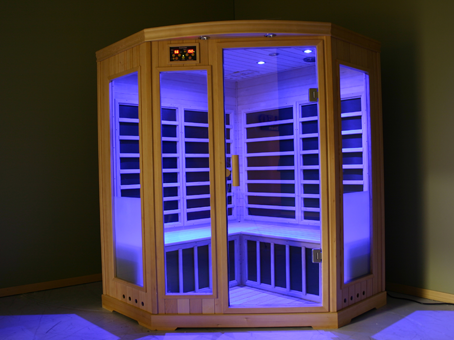 A cool color that has a calming effect.